Some thoughts on wine marketing. When I first started in wine, it was a few weeks after September 11. I worked on the weekend shifts while answering calls from customers and selling a few extra cases at the end with a commission for $2 each per case. It was a creative place, full of actors and musicians working on the phone, many people did not know much about wine. What they did know was people. What I learned then is something that has stayed with me all this time. And it is why I am not interested in being good. I am interested in great. There are three types of companies out there at the moment with respect to wine marketing – (1) people who are doing it well; (2) people who are not doing it well; (3) some who don’t believe they need it at all. To make wine taste better. It is the affect of good marketing but we’ve all experienced this idea. Most often on holidays when we are relaxed. Take the same bottle home you enjoyed while away on holidays and, in the clear light of grey, the wine tastes as dreadful as it really was. You have made the wine taste better through a good experience. Does that make the wine, or the experience, wrong if you have enjoyed it? The truth is taste is subjective – even for those that give objective-looking scores. Yet tests show that recommendations have an affect on the sales of wine and it can go some way in helping the bewildered wine customer feel good about their choices. It is not so much about the wine critic itself but the psychology of advertising, too – since the beginning of Madison Avenue, celebrities have put their name to products. Even before that, it is the power of anecdote and recommendation. Top sommeliers instinctively know wine can taste better with their recommendation, too. If they are doing a good job then the experience of them being there adds to the taste of the wine. They make the wine taste better. Sales people know this when they have their loyal customers who keep coming back to them. How many times I have heard, “So and so sold me this wine and he’s a good chap.” Someone once told me that they almost hoped for the first sale to go wrong. Then they could take a bottle of champagne over to their house as a sorry gift. With such a high level of customer service is it little wonder why they become a customer for life. Every piece of marketing needs to be about making the wine taste better for the customer – and that is also the experience of wine. The grand old dames of the wine trade in the saintly street in Piccadilly arguably do more marketing, and better, than anyone else. Their heritage makes the wine taste better for their customers – it gives them reassurance even if they use sophisticated digital marketing and apps. Give their customers the same wine from another company and they may very well spit it out in disgust. What makes wine taste better? It is a good experience in all dealings with the company. But it is not a standard formula. You must think! About your customer and what makes a good experience for them. What about fine wine marketing companies that sell wine like stocks and bonds? 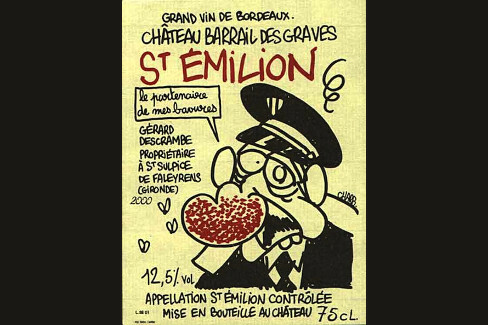 Many of their customers have been left with less valuable Bordeaux and a bad taste in their mouth. It is also why when we suddenly see some of their offers on wines from “other regions” it does not ring true. This is changing by sheer persistence, although very gradually. The wine world, now so transparent on the internet, makes wine companies boiled down to one thing: the price. This is a hard place to work from. Ask the supermarkets. There are many ways of applying this test but this is my basic rule*: what makes the wine taste better. Everyone is an expert (much like wine) and strangely and sadly, even less think of the customer. But if you are not bringing customers and wine together for a good experience, then what exactly are you doing? * Apart from my blog, which is always about breaking my own rules!